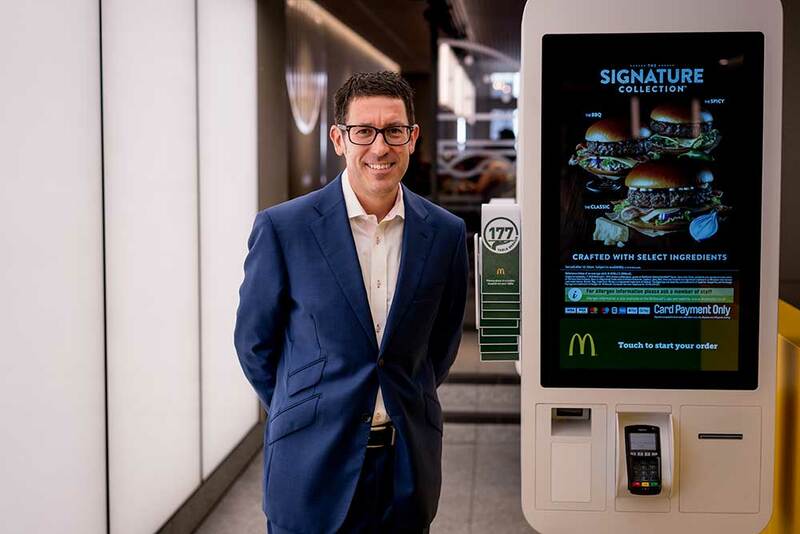 Q & A with Paul Pomroy, CEO of McDonald’s UK & I, who are launch partner for Workingdads.co.uk. Why is it important to McDonald’s to champion dads at work? Paul Pomroy: It’s important for us to champion everyone at work – dads, mums, students, carers – everyone has different priorities and different situations at home. It’s important that we offer progression and development opportunities for all, but also flexibility so that work can fit around life – from restaurant to head office. Like many of our employees, I’m a dad of two young boys and being able to be there for bath and bed time is really important to me. My wife is a busy working mum, so having that flexibility is really key for us both. We’re nothing without our people – they are what make McDonald’s, so listening to them and what they need is essential. How does McDonald’s promote flexible working and ensuring a work life balance amongst its employees? PP: We offer our people the choice of a guaranteed hours or flexible contract, giving people the option to choose. We talk to our people to ensure we understand what works for them. We use these conversations to create jobs that suit different ages, lifestyles and life stages – whether it’s parents looking to fit a job around family commitments or a student looking to earn some extra money at the weekend. 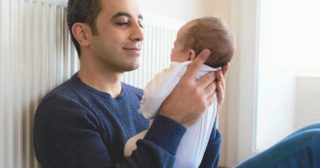 Our survey shows many dads are afraid to ask for flexible working for fear of the impact on their career progression. What more needs to change? Do the kind of support mechanisms offered to mums need to be promoted to dads e.g. employee networks? PP: The ability to work flexibly should never have a negative impact on a person’s career progression. This applies to both mums and dads, as well as non-parents. Flexible working isn’t a ‘parent issue’, it’s a ‘people issue’. We believe that everyone should be given the opportunity to work more flexibly, but that doesn’t diminish ambition, desire or opportunity to progress. The business case for flexibility is clear, too: if employees are happier, more motivated and more loyal, they tend to be more productive. You brought in the guaranteed hours contracts. What has been the feedback internally and externally? PP: We announced in April 2017 that all of our employees would be offered the choice of a flexible or guaranteed hours contract, following a year of trials in selected restaurants. Since then, the majority of our people, around 80%, have chosen to stay on their existing flexible contracts, as they value the ability to work around their other commitments. We are proud to offer our people the option, so they can choose what works best for them. 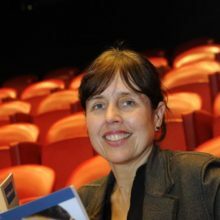 In fact, Matthew Taylor used us as a case study in his review of Employment Practices in the Modern Economy, highlighting that we offer our 120,000 employees the choice of a flexible or fixed contract. Why is a multi-generational workforce good for business? PP: We are one of the largest employers in the UK and we are proud to employ a multigenerational workforce of over 120,000 people, spanning more than seven decades. In 2016, we carried out research that revealed multigenerational working enhances McDonald’s business performance. Teams that bring together a mix of people of different ages and at different life stages are fundamental to creating a happy and motivated workplace and to delivering a great customer experience. Our customer base is extremely varied, so having a diverse workforce of people from different ages, backgrounds and experiences is really important to reflect that and ensure we challenge our thinking internally. How important is it that senior male managers walk the talk on flexible working and work life balance? PP: It’s really important for everyone to promote flexible working – not just those who are male or senior – but you have to walk the talk and I try and lead from the top. In the office, for example, we don’t have a culture of presenteeism; I leave the office “loudly” at 5.30pm each evening and I say goodnight to everyone; with so many working mums and dads, we don’t want a culture of working late. Sam from McDonald’s Restaurants UK on Vimeo. Steve from McDonald’s Restaurants UK on Vimeo. McDonald’s is one of the largest employers in the UK and Ireland with over 1300 restaurants serving over 3.7 million customers per day. One of our greatest strengths is our diversity; we have 120,000 employees ranging in age from 16 to 91.